A canal in Brooklyn has been listed as a Superfund site. If you don’t know what a Superfund site is, click here. EPA Chief Lisa Jackson has been quite a productive pick over George Bush’s obstructionist appointment. Now she is proposing stricter standards for toxic chemicals in our drinking water. It seems like every week I find a story on advances in battery technology, engines/motors and solar panels. Technology Review offers the stories up this time. Our Climate is changing, this story illustrates the changes taking place in the Amazon. Grid Parity is when electricity from alternative technologies cost just as much as sources like coal. Grist.org claims that wind is now competing with coal in some places in the US. 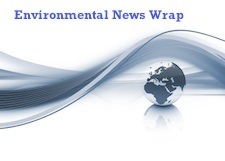 Environmental News Network is a great source for environmental news. Here is a story on Corporations doing good things for the environment. Be wary about corporations though, many profit off of destroying the environment and then make small offerings to gain the favor of us consumers. If a corporation really means to do good they will stop profiting off of the degradation of our environment. The UK government claims they can stimulate their economy by preparing for Climate Change.